Order the “Cuz We Care Combo” in the month of April and 10% of each meal will go to a local charity organization. Encourage child abuse-related organizations/agencies, regardless of where they lie on the spectrum of prevention to treatment, to form a professional alliance. All children deserve a childhood free of abuse. The Thread Alliance is dedicated to this mission. 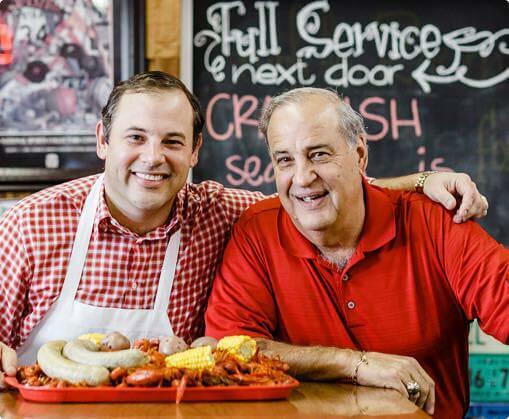 The Cuz We Care program was started in spring 2014 as a way to maximize Ragin’ Cajun’s philanthropic efforts and create a giving-program that could continue on for years to come. As a family-owned company, Ragin’ Cajun knows it is important to pay forward our good fortune by giving back to our neighbors. Our giving focus is on 501(c)3 organizations serving the needs of children and families through medical research, educational support or the provision of basic needs. 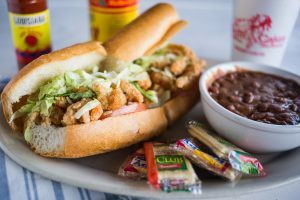 Through the Cuz We Care program, Ragin’ Cajun will host one profit-share per month with a nonprofit that fits within the scope of our mission of serving the needs of children in Houston. A Cuz We Care combo will be designated for an entire month and any time a customer purchases the item, 10% will go directly back to the partnering nonprofit. It is our goal to substantially impact 12 children’s charities throughout the year, and bring them together in December for an event highlighting all that they do to keep our communities happy and healthy. If you would like to participate in the Cuz We Care program, please fill out the form below and a representative from Ragin’ Cajun will be in contact with you soon. Additionally, if Ragin’ Cajun can support your cause in other ways, please let us know. At Ragin’ Cajun, we believe in giving back to the communities that give us so much. Why do we do it? Cuz We Care.